Light, creamy and a little tangy. Flavor is literally spot on. Rich creamy key lime flavors with a great crust note blended in . Smelled so good didn't wait to steep and was solid, did a speed steep and it got better, and now after a week of actual steep its amazing. Elton John is my favourite singer of all time. IвЂ™m happy to present for you this tour setlist 2019. Check [url=http://eltonjohntour2019.com]Elton John last tour USA[/url] website to get your ticket for the last Elton John tour 2019. Nice and creamy. Really good flavor. Definitely an adv. One of the best Key Lime vapes EVER! This juice will definitely be one of the juices I order every time from now on. I never want to be without this juice. So good. I recently ordered 5 juices from this site and this juice is hands down the best. Upon receiving, the initial smell made me nervous almost like cleaning supplies. I used the quick step method and gave it a try and it is FANTASTIC. I decided to give it a few days in a dark place and pulled it back out. Even better. This is THE BEST key lime I have tried and I am always looking for key lime flavors. I will be making sure to always have this on hand!! Steeping is very important for this juice. I'm vaping on a high wattage build and I find this very tasty and bittery. Not vapable taste like pure chemicals with a small ground coffee in it disgusting! 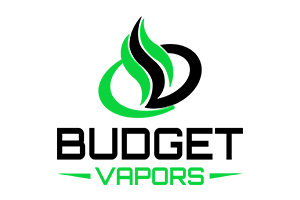 This juices really improves when steeping I can really feel the lime, No ground coffee taste at all just a very small graham taste to it that is very nice to vape. So at the end I truly recommend it for the price and for high wattage build but I also recommend the merica on budget vapors that cost 5 more dollars but has the same taste in it but with more flavor.